Shirley Ann Sprowl, 73, of New Martinsville, WV died Wednesday, November 28, 2018 while at Wheeling Medical Park. Shirley was born December 20, 1944 in New Martinsville, WV; daughter of the late Harry Lee and Daisy Marie (Rogers) Travis. She was a homemaker, retired Dietary Manager for Genesis Heath Care System, loved painting and crocheting, and was a “Master” of crafts. In addition to her parents, she was preceded in death by her first husband and father of her children, David Winland and brother, John Travis. Surviving are her three daughters, Sherry (Brian) Croasmun, Bonita (William, Jr.) Winland-Smith and Rebecca (Bobby) Hilpert all of New Martinsville, WV; brother, Leroy (Edna) Travis of Paden City, WV; two sisters, Patricia (Leroy) Glover of Sistersville, WV and Sondra Huffman of New Martinsville, WV; sister-in-law, Katherine Travis of Paden City, WV; special sister, Donna Leek of Pine Grove, WV; six grandchildren, Danielle Duke, Amanda Duke, Karlie Hilpert, Kasey Hilpert, Chase Croasmun and Davianne Croasmun; five great grandchildren; seven step-great grandchildren; special canine companion, Chico and several nieces, nephews and cousins. At Shirley’s request there will be no services. Because she loved children, please send memorial contributions to New Martinsville Park & Recreation, 191 Main St., New Martinsville, WV 26155. 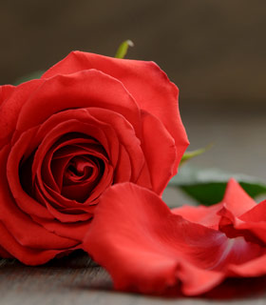 To send flowers to the family of Shirley Ann Sprowl, please visit our Heartfelt Sympathies Store.